While I always discuss my travels or talk about new Boston events or restaurants I’ve encountered on this blog, I was thinking about this great time of year: time for the annual South by Southwest festival in Austin. For me, it’s hard to ignore the festival – and it really got me missing Austin. Now that the commotion is dying down, I thought this would be a good time to throw out a few restaurants musts including some staples (part one) and some new hot eats I’ve been reading about or heard good reviews on (part two). Clearly, this isn’t a complete list of my restaurant recs since there are so many incredible places to eat, this is at least a good starting place for those making a trip to the ATX. Of course, if you’re making a trip to the ATX and you’re looking for great barbeque, you’ve got to try the the Salt Lick. My personal recommendation is to take some time to visit the original in Driftwood. It’s not far outside the City but you’ll definitely need to devote a few hours for this. The great thing about the original location, is that it’s very classic, picturesque Texas Hill Country. Two things to keep in mind: it’s BYOB and cash only! If you’re looking to bring wine though, check out the winery up the street from the Salt Lick. Chuy’s is a quirky Tex-Mex restaurant is trademark Austin, and by quirky, we’re talking from decorations to the massive burritos. This is another restaurant, like Salt Lick, that you can find multiple locations of because, well, it’s just that popular. If you get stuck on the details, the original is the Barton Springs location – which if you’re visiting for Austin City Limits or heading to the Trail of Lights in the winter, is pretty close to where the action is. Chuy’s is just great Tex-Mex. Pure and simple. Austin is full of amazing Tex-Mex restaurants though but I like to think that Chuy’s is good for those looking for somewhere to set the bar. My personal recommendation, whether you have an enchilada or “Big As Your Face” burrito (which is totally worth the belly ache), go with the deluxe tomatillo sauce. I have a confession. I used to be skeptical about Kerbey Lane. It was a destination in college that I always had a bad experience with, particularly the location near the UT campus. That all changed the day I visited the original location on Kerbey Lane. Started in a cute house on what probably used to be a quiet street, Kerbey Lane is probably best known for its fantastic breakfast fare – which is available at pretty much any time of day (i.e. it’s open late). The pancakes are to die for and when I venture to Austin for trips, I always pick up some mix. If you’re not really in the mood for breakfast, try the Kerbey Queso (cheese queso with guacamole in the middle). 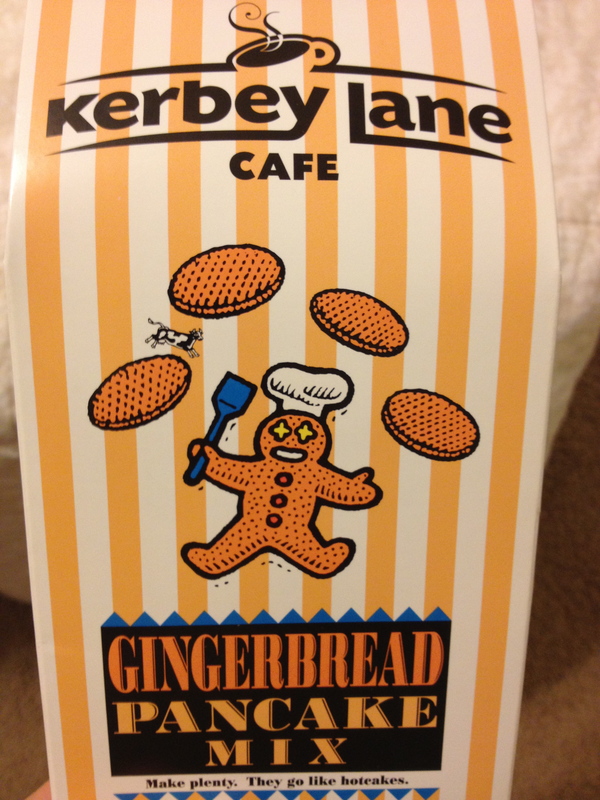 I think that Kerbey Lane is a great way to either start or end your day. Quick tip: Sunday’s can be packed – so get there early if you need to park at the original location. Most Austinites know the Broken Spoke for its two-stepping, as it is a dance hall. What I later learned, after being introduced by a fellow Bostonian, was that the Chicken Fried Steak was probably some of the best you’ll ever have. Similar to the Salt Lick, if you’re looking for a traditional Texas experience, this is your place. This is a ten gallon hats, belt buckle and cowboy boots kind of place. Funny enough, it’s in an area of Austin that’s being flooded by new mixed use condo/retail units. However, the experience straight from the gravel driveway around the restaurant to the huge plates of chicken fried steak remains the same: a classic. What are your favorite staple restaurants in Austin? Leave them in the comment section below. This entry was posted on Tuesday, March 19th, 2013 at 1:09 am	and tagged with Austin, Broken Spoke, Chuy's, Classic Eats, Kerbey Lane, SXSW, The Salt Lick and posted in Food. You can follow any responses to this entry through the RSS 2.0 feed. « Activity Time: Shuck It To Me! Black Star. Do it. No questions. Best Ice Cream: Amy’s. I miss Texas ice cream. Enough said. Best breakfast (besides Kerbey Lane): Magnolias. Breakfast at 2am – can’t complain. Best location: Hot dog stand at Barton Springs because Barton Springs is the best place ever!